How is it that what is essentially a slanderous lie gets repeated over and over again in prominent media outlets as if it is the truth? Think about this while you are waiting to pump aluminum and mercury into your 6 month old or are waiting in line at the grocery/pharmacy for your discount, 20% effective flu vaccine. 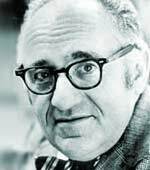 Do what you are told-it is for your own good. 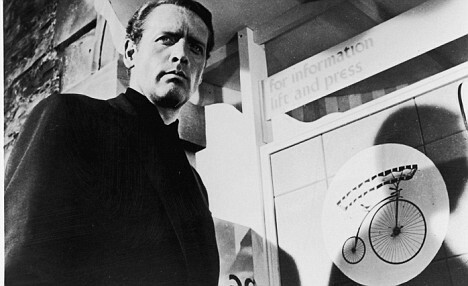 Obey. As the US Senate holds entirely one-sided hearings on the topic of vaccines, with the likely goal of imposing vaccine mandates nationwide, we’re hearing it again: The claim that we are now experiencing dangerous outbreaks of a disease that had already been eradicated (they aren’t, and it hadn’t), and that it’s all the fault of Dr. Andrew Wakefield and his “discredited” Lancet paper. 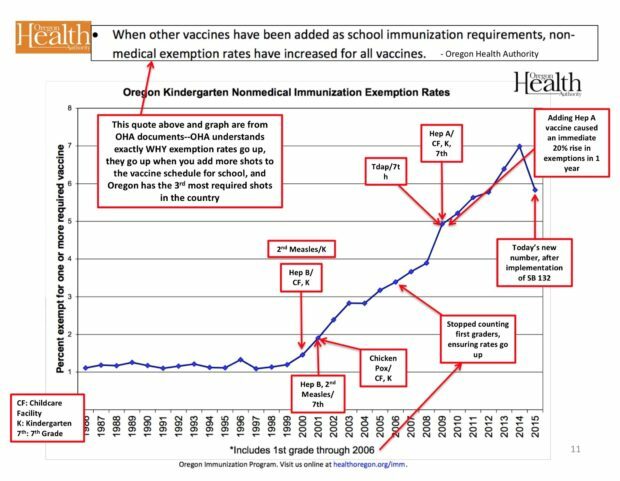 According to this narrative, after the publication of the Lancet paper, (which identified a possible association between the MMR vaccine and autism, and called for further investigation), parents panicked, stopped giving their children the MMR vaccine, and measles cases skyrocketed. It’s a thrilling narrative for those who seek to force vaccines on the people around them. The only problem is that it’s not true. 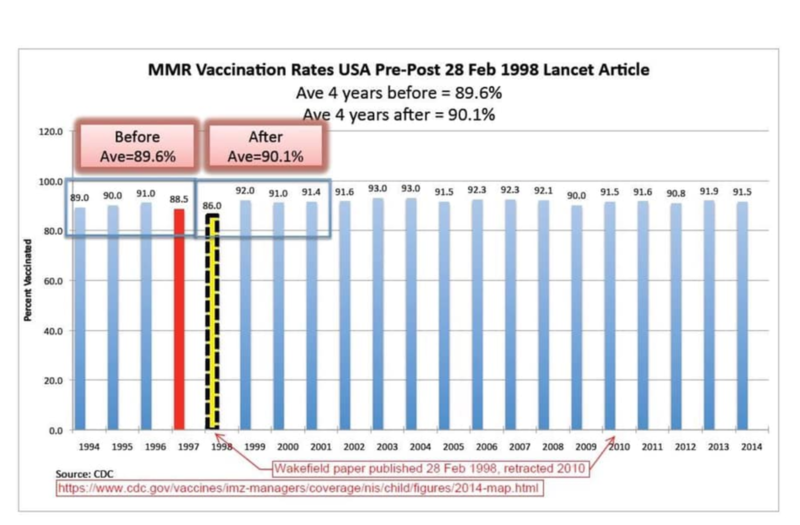 MMR vaccination rates in the US did drop slightly in 1997 – the year before the Wakefield study was published – and again in 1998. However they rose again the following year, and have remained at or above pre-1997 rates since then. In fact, the four years immediately following the Lancet study saw higher MMR vaccination rates than in the four years preceding the study. 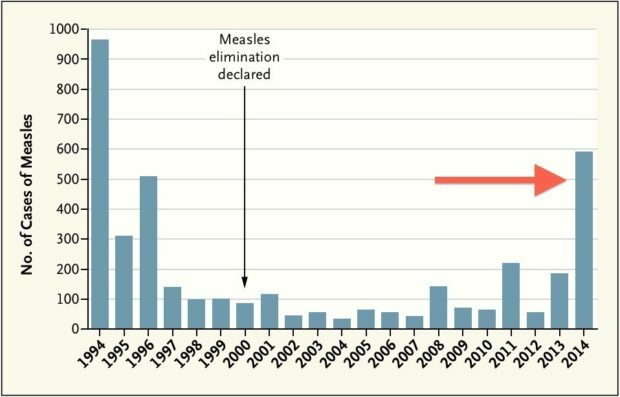 Following the spike in 2014, the numbers fell to 188 the next year, and 86 (the same number of cases in the year measles was declared to be “eliminated”) in 2016. In 2018, the number of cases nationwide was 372. But whatever increases there have been since 2000 cannot be attributed to a drop in MMR vaccination rates following publication of the Lancet paper, because there was none. The narrative that is fueling the current hysteria around measles, and that is driving calls for mandatory vaccination across the country, is founded on a collection of falsehoods. This entry was posted on March 8, 2019 at 9:13 am	and is filed under Uncategorized. Tagged: anti-vaccine, autism, measles, MMR vaccine, Wakefield Myth. You can follow any responses to this entry through the RSS 2.0 feed. You can leave a response, or trackback from your own site.